I don’t think there’s any dearth of talent in India – we’ve always had the best juniors in the world. I don’t think tennis is a glamour game, not at all. 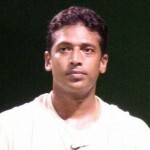 Mahesh Bhupathi is an Indian professional tennis player. In 1997, he became the first Indian to win a Grand Slam tournament. With his win at the Australian Open mixed doubles in 2006, he joined the elite group of eight tennis players who have achieved a career Grand Slam in mixed doubles.